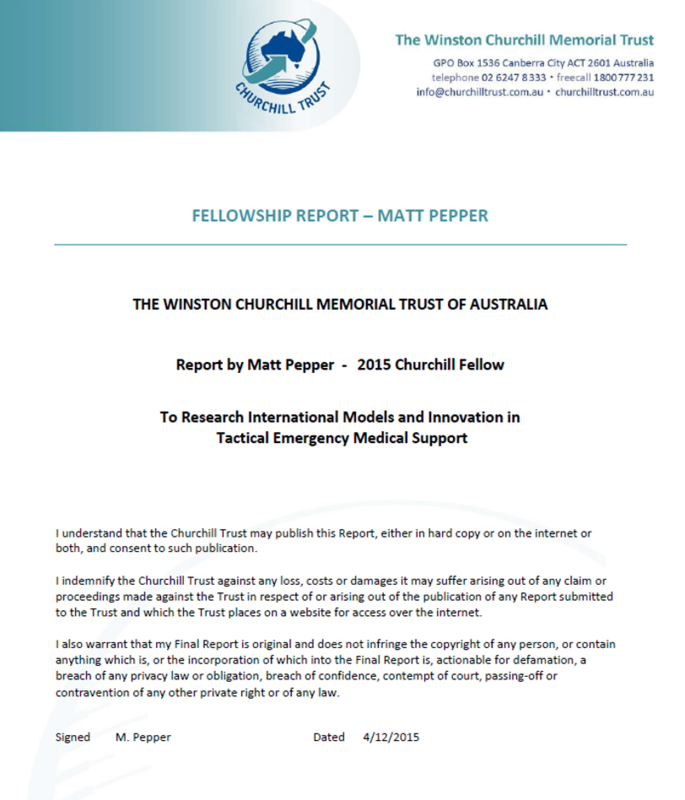 About: This report, conducted by ATMA President Matt Pepper, sets out the findings of a Churchill Fellowship research trip that was conducted in North America and Europe over two months in 2015. The research focuses on the pre-hospital response to high threat incidents such as terrorism, sieges and active shooter incidents, as well as the integration of Paramedics with law enforcement teams. The report makes a recommendation for the best way forward for an Australian high threat incident response model.